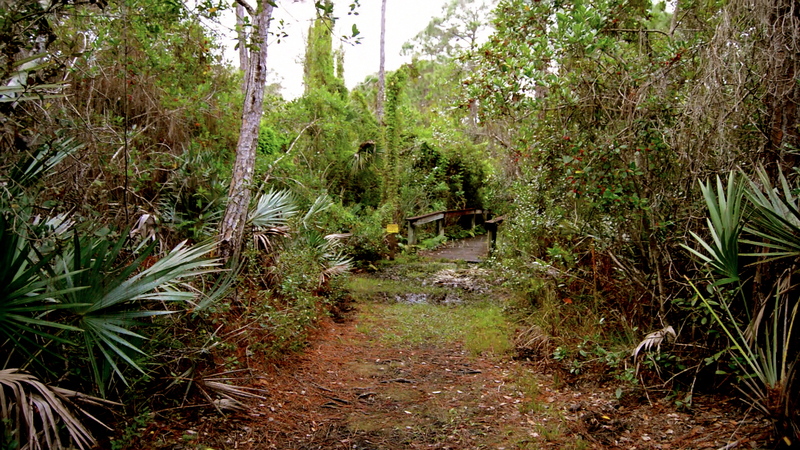 Save the Halpatiokee Nature Trails! Move the Bridge! Stop destroying us! Many kudos to Shari Anchor who leads us in this fight to save this important piece of land. The story of the Port St. Lucie Crosstown Parkway Bridge tells how we lose Florida’s natural beauty, resources and ecosystems, even if they exist in our preserve state parks. It’s the story of a battle that must be fought if we are to save any of them. 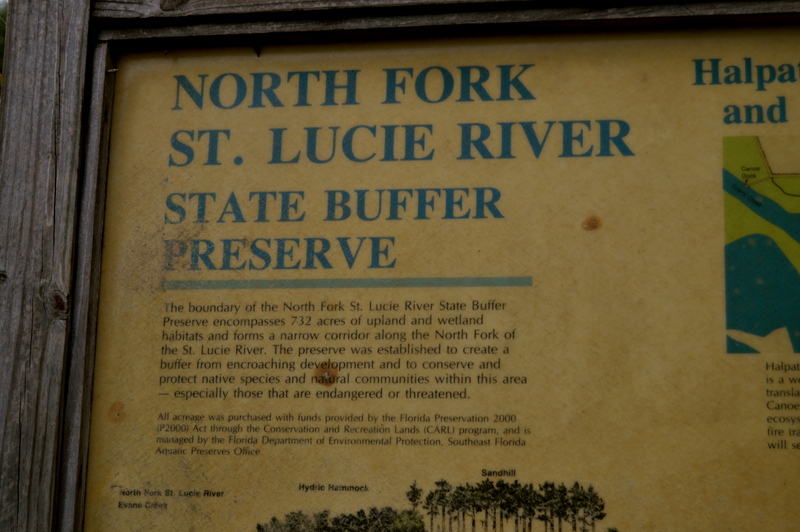 In 1990, the city surveyed federal, state and regional natural resource/regulatory agencies about building a bridge through the North Fork of the St. Lucie River Aquatic Preserve using two potential routes. All agencies commented both routes crossed very environmentally sensitive lands and waters, impacting important wetlands, but of the two, they were firmly against what is now known as Route 1C. In 1996, the city began purchasing properties along the Route 1C corridor, even though the National Environmental Policy Act dictates an objective Alternatives Analysis and Environmental Impact Statement be completed prior to route selection. Florida’s Department of Environmental Protection demanded, unsuccessfully, that an environmental-impact statement be performed for the entire proposed Crosstown Parkway from Interstate 95 to Hutchinson Island. Project segmentation does not accurately assess impacts. By 2006, the bridge project was being reviewed by the Department of Transportation, which solicited input from reviewing agencies such as the DEP. Many agencies “red-flagged” the proposed bridge crossing because of impacts to parks, wetlands and wildlife. No matter, the environmental impact statement declared a road piercing the heart of important public lands was the very best possible route. If the city chose any other route, the bridge would likely be built by now and for tens of millions of fewer dollars. What’s holding it up is that pesky irritant called the law, at least according to the Conservation Alliance of St. Lucie County and the Indian Riverkeeper. We filed a federal lawsuit in 2014, arguing the Federal Highway Administration and the DOT violated Section 4(f) of the Department of Transportation Act when they approved Route 1C. Section 4(f) states there shall be no taking of parkland for incompatible uses such as road infrastructure if any other route exists which would have less or no impact to parklands. 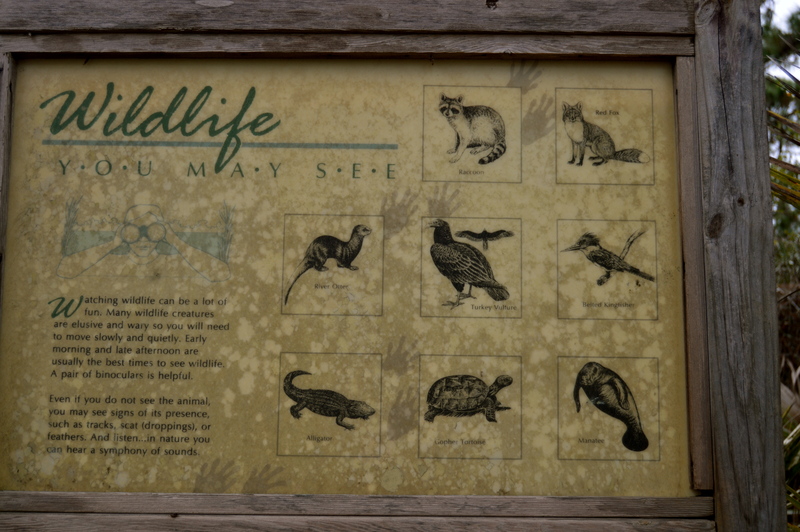 Route 1C would take the most parkland, from the aquatic preserve and from the Savannas Preserve State Park Buffer Preserve. Taking no parkland, another route, known as Route 6A, would fully comply with this law. Likewise, Section 404 of the Clean Water Act dictates every effort must be made to avoid the destruction of wetlands. Other less-impacting routes must be chosen. The Army Corps of Engineers states that Route 1C “is the most ecologically damaging” route, with the most impact to the most acreage of the highest functioning and quality wetlands, thereby likely not in compliance with the act. The South Florida Water Management District has requested a “formal finding” as to whether a bridge through the aquatic preserve is compatible with state law. Of the 10 types of activities permitted in aquatic preserves, none of them involve bridge construction. Another sleight of hand at work here is the strategy to mitigate for the “worst-case scenario,” suggesting that was what was intended from the get-go. A big, expensive mitigation package was supposed to make it OK to take highly ecologically valuable preserves. Nothing in the law absolves the parties from choosing the least impacting route. The Overton Park decision by the U.S. Supreme Court in 1971 established that park land must receive priority status in law, otherwise the economic and social factors at play in highway construction would always prevail and no park lands could survive. It’s up to us to make sure the laws designed to protect park lands count. Shari Anker is president of the Conservation Alliance of St. Lucie County. Thank you so much Shari, Marty, the Conservation Alliance of St Lucie County and the Indian Riverkeeper. The thought of having a bridge crossing over to the Island and all the construction that will come after that just slays me. People will not be happy with a bridge. They will want giant apartment buildings, places to eat and that whole of the Island that is just beach will destroyed. People complain it’s hard to get there. It should be. It should be hard. No one’s asking anyone to hike in. Just drive in the comfort of their car for an extra 15 minutes. Let’s get this part done first. Here is a video I put together of the area last year. You don’t have to sign that petition any more but you should watch to see what we are talking about. Oral arguments on Oct. 6th at the Paul G. Rogers Federal Building Courthouse in West Palm Beach. More info on time when we get it. Leave a comment Posted in army corp of engineers, community, environmental, st lucei county Tagged conservation alliance of st lucie county, crosstown bridge, florida, indian riverkeeper, shari anker, st lucie county, the Halpatiokee Nature Trails!